Paul, not his real name, visited JAR for the first time in November 2014. He had fled his home country in Africa because the political activities he engaged in put his life at risk. After landing in Japan, he wasn't able to obtain information about JAR for a few weeks because he didn't speak Japanese or English. (His native tongue is French.) He spent many days and nights in parks. When temperatures began dropping suddenly to levels he had never experienced before, he was overcome with fear and anxiety. He sought help from another man from Africa and learned about JAR from that person. "I'm going to be saved..." he thought. Paul came straight to the JAR office in Yotsuya as soon as he got the address. But the first thing we had to tell him was that the refugee application process in Japan is very long and arduous. We also had to tell him that because JAR's temporary shelters were fully occupied at the time, he had to live on the streets for a little bit longer. Shocked by the gap between reality and his expectations, Paul's shoulders slumped and tears streamed down his face for quite some time. Paul was in such shock that he could hardly speak. The JAR staff stayed with Paul for several hours and encouraged him until he was able to calmly get over the initial shock and slowly come to terms with reality. Due to the shock, Paul left the office that day without taking our sleeping bag or food donations. Considering his reaction that day, the JAR staff members worried that it would take time for Paul to take steps toward a brighter future. But the very next day, Paul showed up at the office looking like a completely different person. With a fiercely determined look on his face, he accepted the sleeping bag, emergency funding, and a survival handbook with information on how to live on the streets until a vacancy opened up in one of our emergency shelters. 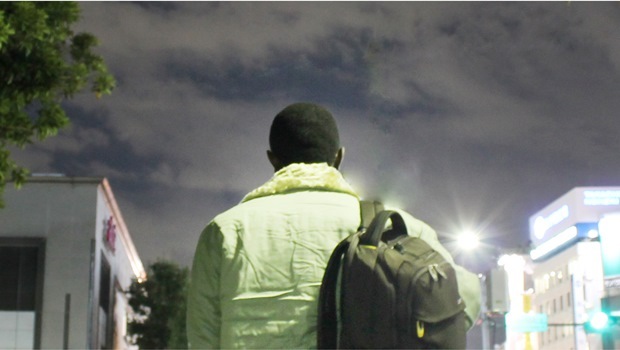 He left his large piece of luggage at the JAR office - as many refugees do - and started his new journey. For three weeks after that, he spent the days in the office, eating and staying warm. At night, he bravely endured the cold weather outdoors. In late November, he was able to move into a room at a temporary shelter, enabling him to spend the year-end and New Year season with a roof over his head. But the battle had just begun. How will he survive the average of three years it takes for a refugee applicant to receive notification about his status? And what will he do if he isn't granted refugee status? "I have to be determined and deal with reality," Paul said at the time. The Japanese government does offer financial assistance for refugee applicants. But it takes quite a while for applicants to actually receive the money after they apply for it. The reality is that those who urgently need money for food and shelter are not getting the funds they need. Two months after applying, Paul still hasn't received any funding. Many refugees who are also awaiting financial assistance visit our office every day. In winter 2014 alone, we had 103 people seek our help. 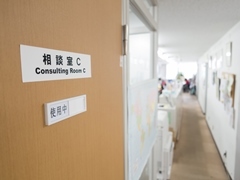 We continue to call for improvements in Japan's system littered with loopholes, but our assistance alone cannot make up for the gaping gap between our clients' needs and what we have on hand. This is why we need your help. Your donations can help strengthen our safety net for refugees. Your donation of 3,000 yen can pay for food, travel and shelter for one person. Your donation of 10,000 yen can cover a medical bill for a refugee who has no health insurance. Your donation of 30,000 yen can pay for a month's worth of living expenses for a refugee family living in one of our temporary shelters. Your donation of any amount can help us provide much needed support for refugees in Japan. There are refugees out there whose lives will be saved because of your donations.